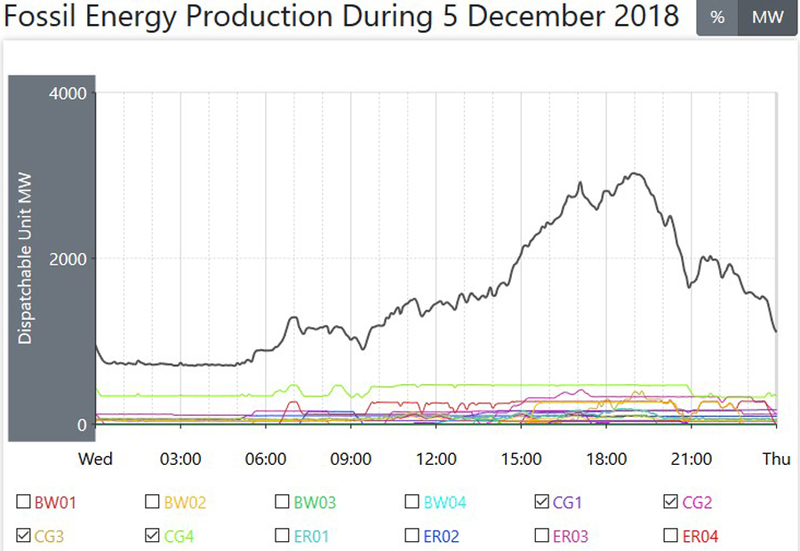 The total Nameplate for all these wind plants is 5452MW. 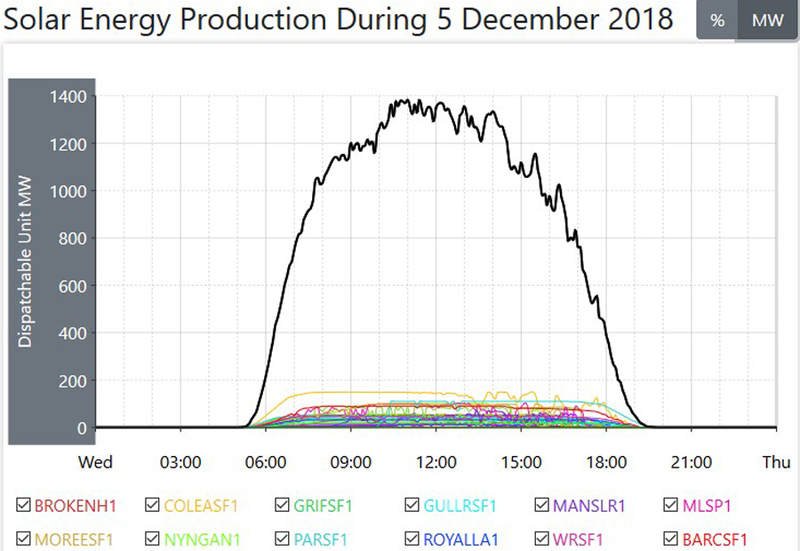 The total Nameplate for all these 29 solar plants is 2021MW. 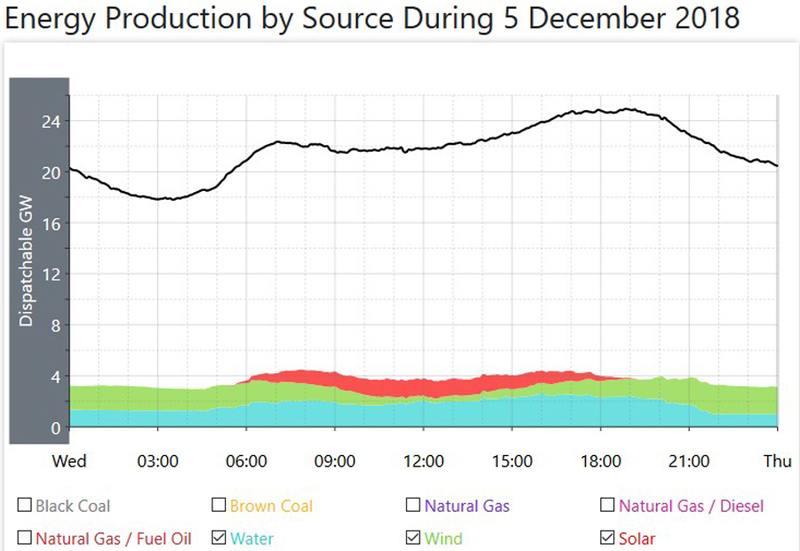 The average for coal fired power generation was lower by 420MW on this day. 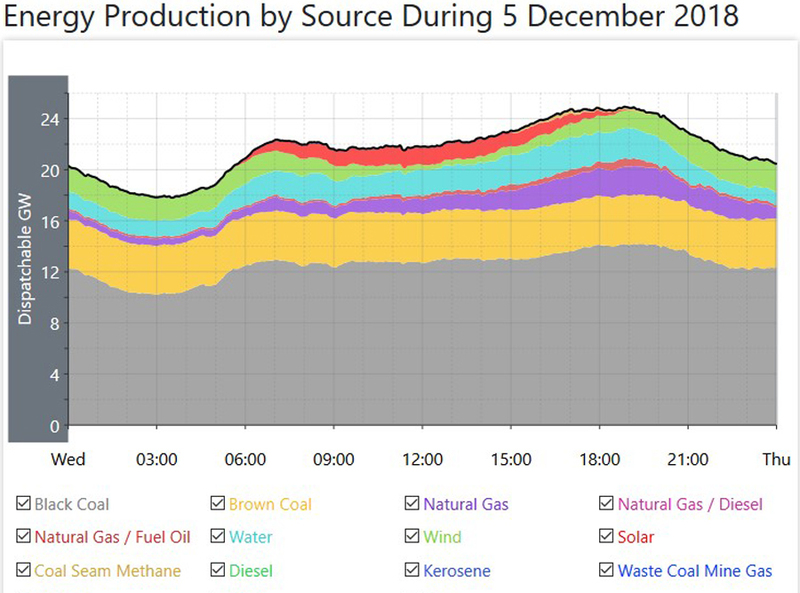 There are still seven of those coal fired Units off line across the Country. 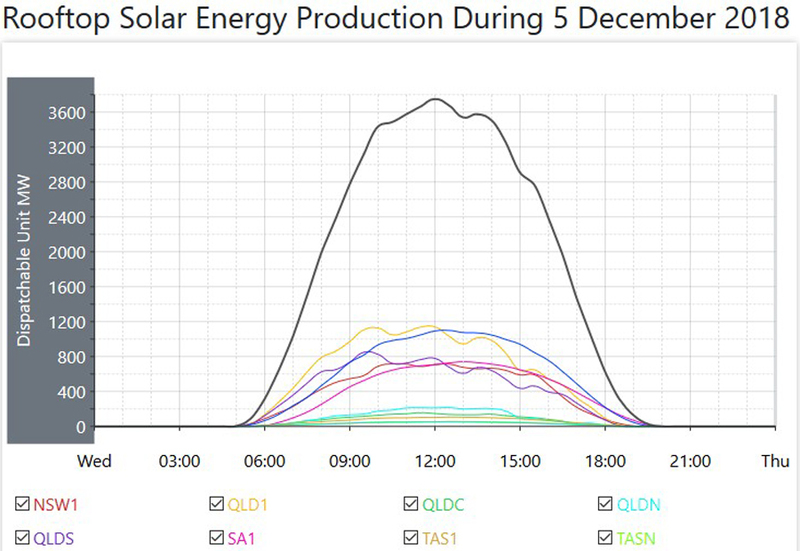 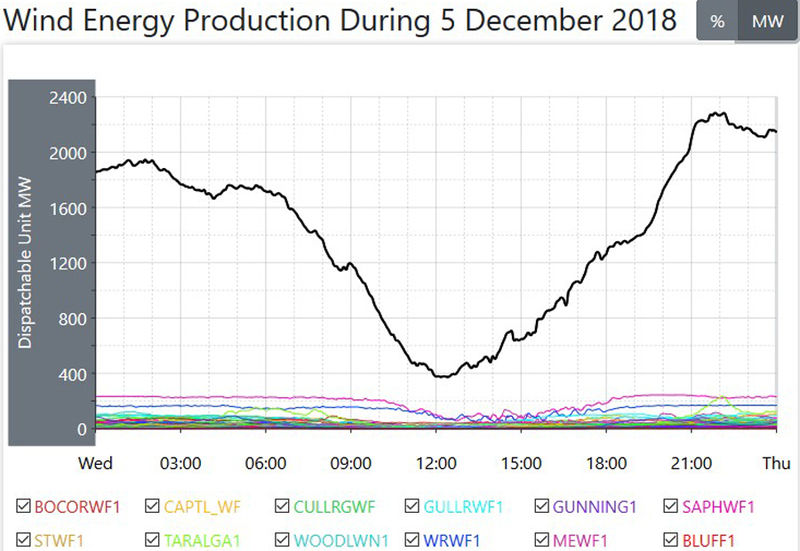 In Queensland, the Tarong North SuperCritical plant, one of the most modern and newest plants in the Country at only 15 years in age went off line at 11.30AM, rolling back to zero across three hours, and then came back on line at 7.30PM, taking two hours to roll back up to maximum power generation. 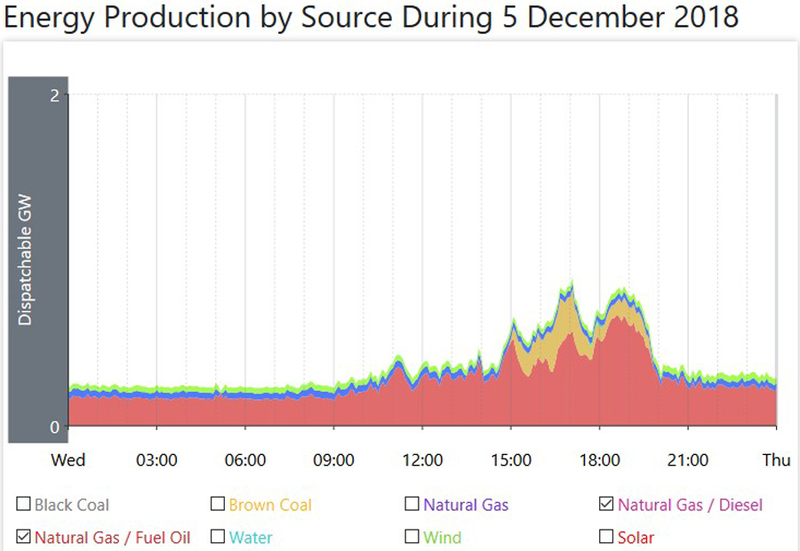 The average for natural gas fired power was lower by 300MW, the average for hydro power higher by 30MW, the average for solar plant power lower by 10MW and the average for those smaller Other sources was higher by 20MW. 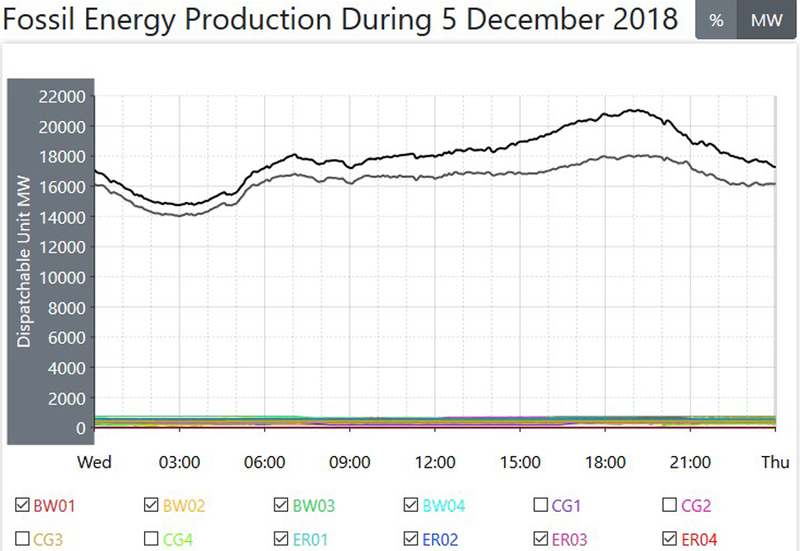 The average for wind power was higher on the day, but again also had an extremely low point at around Midday of only 370MW. 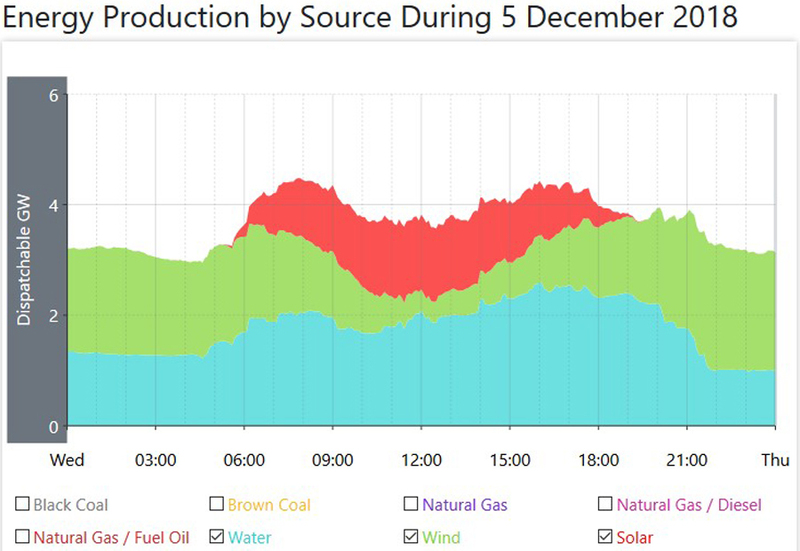 The average of 1380MW gave wind power a daily operational Capacity Factor of 25.3%. 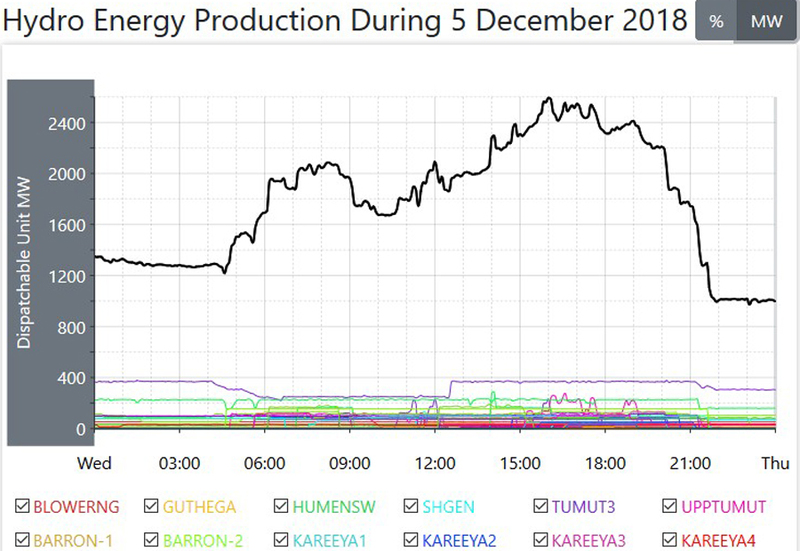 On a day when the overall was slightly lower, and coal fired power also lower, that coal fired sector still delivered just under three quarters of all the power requirements across the whole day.